The Lake House Grey Wood Chair was purchased to compliment the Lake House Loft Bed with attatched desk. This is a quality wood chair. The stone gray color is timeless. A nice addition to our son's tween room. It added a little extra touch underneath the loft. Assembly was a breeze. Taking less than 20 minutes to assemble. Delivery was swift . Arrived in three days from UPS. Worth the five stars. I would order again. Make your home look like a lakeside cottage with this charming chair. 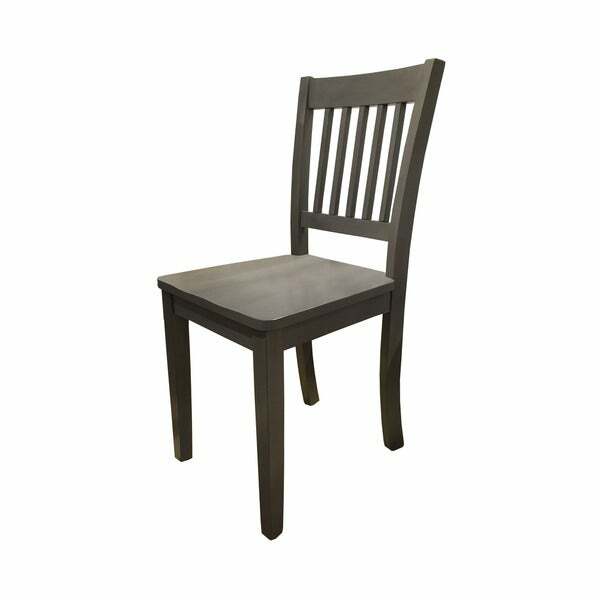 Available in grey and white finishes, this versatile chair easily coordinates with a variety of traditional and contemporary styles.